Celtic peoples were talented storytellers. Like many others, they passed down recollections of history and conveyed religious ideas orally, developing a strong mythological and folkloric tradition through the generations. Christianity brought literacy to the Celts, and converts who became Christian monks wrote down many of the old stories, recording them in several languages, including Irish, Welsh, and Latin. These stories provide a rich, panoramic view of Celtic culture. The Encyclopedia of Celtic Mythology and Folklore is a fascinating reference to the myths and folklore originating from the people of the Celtic lands—Ireland, Scotland, Celtic Britain, Wales, Brittany and central France, Galicia, and the smaller islands where the Celts lived. 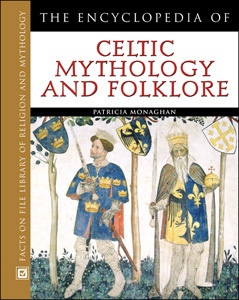 This accessible book offers a broad overview of the elements that constitute and characterize Celtic mythology and folklore, including figures, deities, events, stories, and places. Concise A-to-Z entries provide brief descriptions of the subjects, emphasizing the original sources of myths and traditions and including bibliographic references. The encyclopedia is a valuable asset anywhere myths, legends, folklore, and Irish culture and history are popular. "...succeed[s] in making this highly complex subject understandable enough even for beginners." "Recommended for academic and public libraries." "...well-designed index...Readers...can use this encyclopedia to learn more about the interrelation of characters and the culture that created them." "A work of high quality...Recommended."